In a competitive market, the push to innovate and improve can feel less like a carefully-structured plan and more like an endless demand for bigger, better, faster, more. With new ideas and concepts constantly flooding into the industry, how do you know which will work for your company and unique needs? One of the best ways to navigate the incredible amount of change your supply chain needs to make is to break your overall efforts into focused areas. This multi-pronged approach means you'll be better able to see the impact and separate what works from what doesn't. 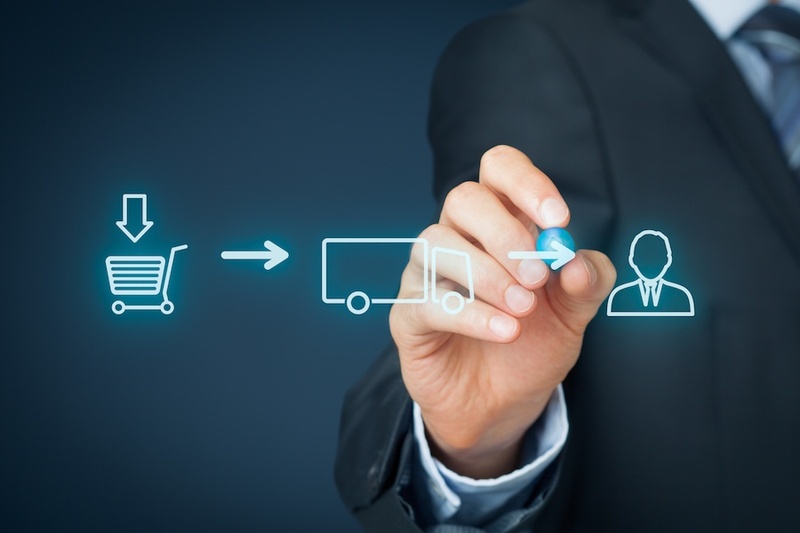 There are six key areas to effective supply chain improvement. Your product, market, and supply chain network should naturally dictate where your emphasis needs to be. This is the path where, if all has gone well, your chain-wide efficiency lives comfortably. If you struggle to define your processes, think of them as your in-house workflows on a larger scale. Are you collaborating consistently and clearly with your supply chain partners? If not, you'll need more integrated planning and execution, incorporating automation and optimization for the best results. While the "human touch" is undoubtedly important to keep your company running smoothly, if you want to remain competitive in a modern market you'll need to embrace and use your data—you are collecting data, aren't you?—to make more informed decisions about your supply chain moves. This path is precisely the reason why you should be collecting that aforementioned data. This is the crucial command center for determining what decisions aren't working and helping you change or shed them, as is appropriate. While the temptation may be to further divide this path into even smaller nodes of study and management, keep your measurements end-to-end and avoid a siloed approach, or you'll risk ending up in the supply chain version of shoveling the walk while it’s still snowing. Look at your measurements with a keen eye on the horizon—rather than getting mired in what's happened this week, consider what you can do over the next few months, or even years. Don't be afraid to incorporate real-time data, ranging from specific shipment information to data points as esoteric as social media sentiments about the services you're using. This will build a dynamic picture that you can easily use to drive excellence along your entire supply chain. While having varied data for a complete picture is crucial, if it's "bad data" to begin with, you'll be doing more harm than good. Different channels will all offer up data, but not all of it will be structured and ready for consumption. Make sure you have a data management solution in place, ideally with a dashboard that your management team can access from anywhere, to get "good data" to feedback into your decision-making process. If you've set up your system correctly, you'll have access to real-time visibility, demand supply matching, demand shaping, and a host of other relatively new opportunities for supply chain improvement. If you've never seen this philosophy in practice, you won't have to look far for a success story. Alibaba Singles Day, an Amazon Prime Day-like event from one of the world's most recognizable wholesale marketplaces used demand sensing and demand shaping to hit a massive forecasted sales target—all thanks to the care with which they collected and processed their data. Automation isn't “nice-to-have” any longer, and truthfully, it hasn't been for a while. Not only does it make the backbone of your supply chain considerably faster—picking, packing, shipping, and so on—it's an integral part of that important data gathering and processing path. Having the right technology, both in physical activities and digital programs, allows your company to see risks and opportunities that even the most skilled, seasoned industry expert wouldn't be able to spot. Additionally, depending on your industry, innovations like 3D printing and blockchain hold the potential to revolutionize all aspects of your supply chain. Organizing your supply chain the right way is imperative for long-term success: if you approach setup as a piecemeal effort, you'll fail to achieve the efficiency and effectiveness you need to grow and improve performance. Remember that as your supply chain changes—a larger market share, new SKUs, new channels, new supply chain partners—so must the way your chain is organized. If you aren't examining and adjusting your organizational approach reflexively each time your company makes a change, you run the risk of outdated "clutter" slowing down your speed and cost-effectiveness. To support the other five paths of strategic employment, you'll need the right individuals at the helm. While it's not traditionally a major focus for 3PLs, the increasing complexity of supply chains demands that you proactively seek out leaders, both in management and thought, to round out your supply chain team. In addition to these six paths of improvement, be sure your efforts are reaching throughout the company. Operations, for example, is central to delivering, but your sales force is also tied to that effort because they deal with your customers first. Information technology is indelibly woven throughout the supply chain, as are information and data management. To see the biggest results, make sure each of these groups is looped into your overall strategies. At Kenco, we're proud to say we have been at the forefront of ideas in supply chain innovation: we're one of the first 3PLs to implement the Innovation Lab and Innovation Process. In pursuit of that goal, our company has recently allocated more focus on complex integrated solutions, helping our customers deal with challenges and dealing with their e-commerce approaches. We've also put a lot of focus in general on supply chain solutions—upgrading talent, tools, and tech to better serve our clients. Are you ready to use our expertise and experience to improve your supply chain approaches? 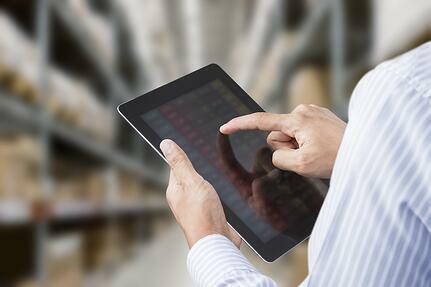 Be sure to read our New Supply Chain Technology eBook to start off on the right foot. 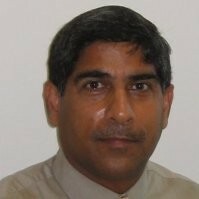 Rajiv serves as SVP of Supply Chain Solutions. He is a logistics and supply chain management industry thought leader with strong experience and expertise in supply chain optimization, sustainability, business intelligence, IT systems development, continuous process improvement, management consulting and developing global supply chain strategies.